*FREE* 4th of July Printable Party Circles! Woo Hoo! Bella Grace Party Designs Fans! We would love to help you celebrate your next event! Love these, and love you two gals! those are cute .When party planning, you want to have a healthy mix of people that will be able to enjoy each others company without starting drama. Therefore think your guest list out thoroughly. Also consider the type of birthday party supplies to used . LOVE to the fruit!!!!!!! So flippin precious! Thx for the gift superchick! Totally cute! Thanks much. It's going on our Fourth of July party ideas page. Love these! Super cute and perfect for a 4th of July party. So cute! :-) Thank you for sharing!! Ok! I'm feeling inspired and was hoping you could tell me what software you used to make these awesome circles! I'm hosting a Canada Day BBQ and would like to design my own!!! Thank you so very much for your help! Thank you so much, these are perfect. For fourth of July weekend we are going to Traverse City, MI for the cherry festival. I love that there are cherries in this printable!! I've been looking for some new 4th of July decorations! So nice of you to post a free download. May I post about them and link to your site on my blog? Thank you so much for these!!!! I just love them! 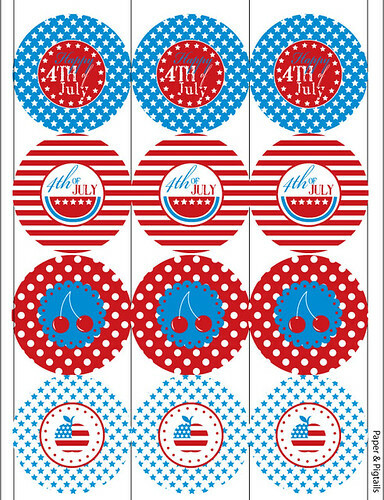 I am a cherry finatic, and how perfect for the 4th of July!!!!!! These are adorable!! Thank you! 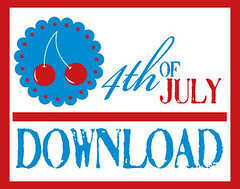 I linked this download to my 4th of July Treat Sack blog post! Love the little circles and they look great on the bags!! Thank you so much for sharing them!! These might be oldies but they are still goodies :) Love them! Thanks for sharing them with us. I will be using them on my 4th of July display I'm working on right now!